From Duke University Press, available now from the press or on Amazon! Read articles about the book in Wired​, Discovery News. Reviewed in the New York Times, Physics Today, LSE Review of Books, Environment and Planning D: Space and Society, JRAI, American Anthropologist, Social Anthropology. In Placing Outer Space Lisa Messeri traces how the placemaking practices of planetary scientists transform the void of space into a cosmos filled with worlds that can be known and explored. Making planets into places is central to the daily practices and professional identities of the astronomers, geologists, and computer scientists Messeri studies. She takes readers to the Mars Desert Research Station and a NASA research center to discuss ways scientists experience and map Mars. At a Chilean observatory and in MIT's labs she describes how they discover exoplanets and envision what it would be like to inhabit them. Today’s planetary science reveals the universe as densely inhabited by evocative worlds, which in turn tells us more about Earth, ourselves, and our place in the universe. ​"Part cosmic travelogue, part scholarly analysis, in Placing Outer Space: An Earthly Ethnography of Other Worlds, Lisa Messeri refreshingly interprets the planetary scientist's methods and tools and orbs-of-interest through the lens of a curious anthropologist. From there we gain insight into who we really are as explorers, and what motivates our endless search for worlds beyond." "There is something almost quixotic in scientists' work to make remote-sensed data into not only signals but places. It is lovely; and at the same time problematic. Lisa Messeri poignantly renders all of this palpable at once. 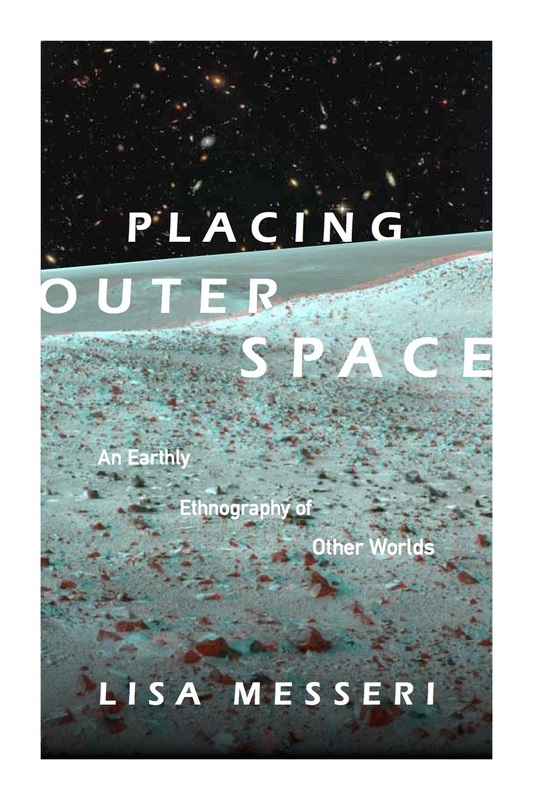 Rich with ethnographic detail, Placing Outer Space makes a decided contribution to discussions in anthropology and science studies on outer space and alien worlds and to classic discussions of the significance of 'fieldwork,' 'immersion,' and the dialectic between the strange and familiar in knowledge production." "Placing Outer Space traces the scientific contours of interstellar dreams, where hints of distant planets open up the magical possibilities of other worlds. Lisa Messeri is an outstanding guide to this outer terrain of human ingenuity, and her terrestrial adventures through research sites demonstrate how the universe becomes all the more interesting as it grows familiar. In searching for exoplanets, humans rediscover their own world, learning to see both earth and sky in newly intimate ways."